Ukrainian state oil and gas company Naftogaz Ukrainy will be ready to pay in advance for new supplies of Russian gas to Ukraine by the end of November, company head Andriy Kobolev told journalists in Kyiv on Friday. However, according to Kobolev, Kyiv will only make fresh purchases of gas, and pay in advance for them, if the weather gets colder and more gas is needed for the heating season. Earlier, Ukrainian Energy Minister Yuriy Prodan said Ukraine was ready to purchase about 1.5 billion cubic meters of gas from Russia by the end of the year under the conditions of a deal signed at the end of October in Brussels between Ukraine, the European Union, and Russia. As UNIAN reported earlier, Russia stopped supplying Ukraine with gas from the middle of June this year, citing uncertainty over delivery conditions, disputes over prices, and the issue of Kyiv’s debts for previous gas shipments. According to the agreements signed in Brussels, Ukraine will be able to resume purchases of Russian gas from any date and in any amount, provided its debt of $3.1 billion is repaid. 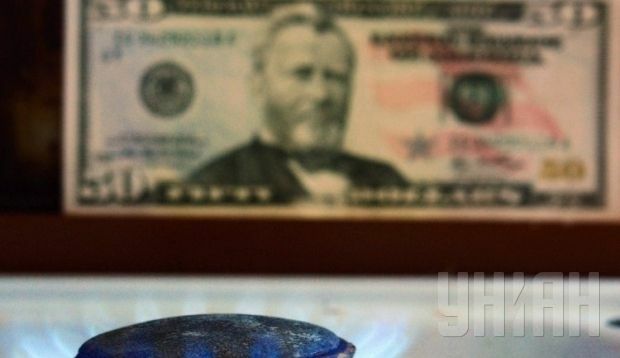 Ukraine has already paid off $1.45 billion dollars of the debt, at a gas price of $378 per thousand cubic meters. In addition, the “take or pay” condition previously applied by Russian gas company Gazprom, under which Kyiv was forced to buy a certain volume of gas or face fines, has been dropped. The gas price for Ukraine in the first quarter of 2015, which is linked to oil prices, has been set at $365 per thousand cubic meters.